Tinsley Crider, 6, tells Santa that she wants a baby doll and a Barbie as Santa arrived at Mounds Mall on Friday. 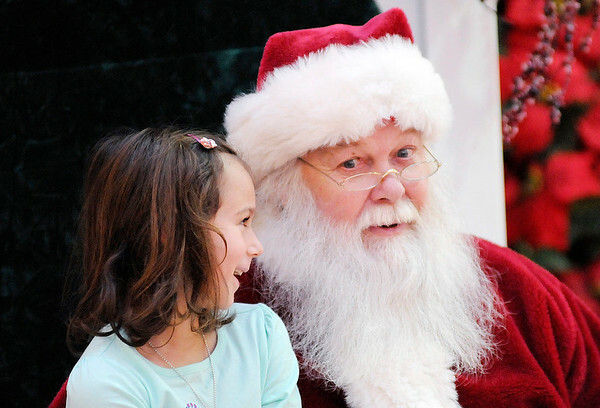 Santa will be at the mall from 5 - 8pm Monday through Friday and noon to 8pm on Saturdays and 1 to 5pm on Sundays. The week before Christmas he'll have special hours starting on the 18th from noon to 8pm daily and 11am - 5pm on Christmas Eve.